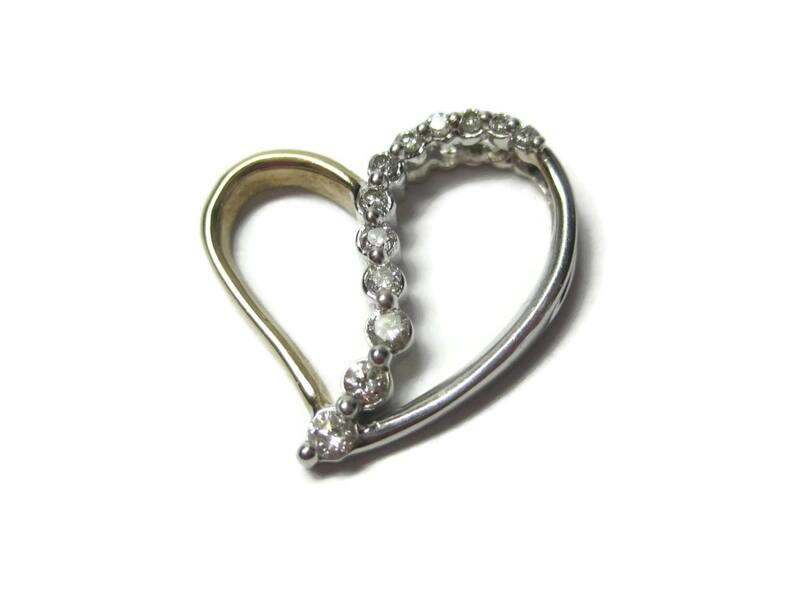 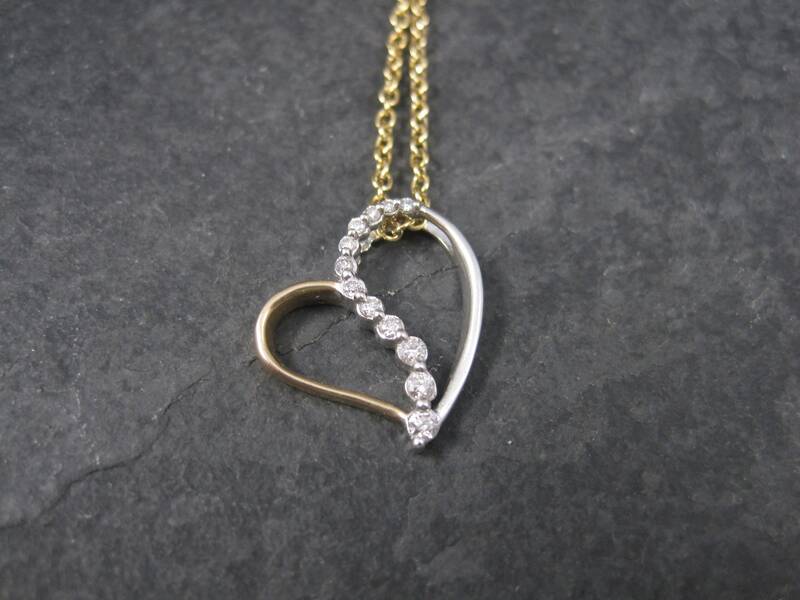 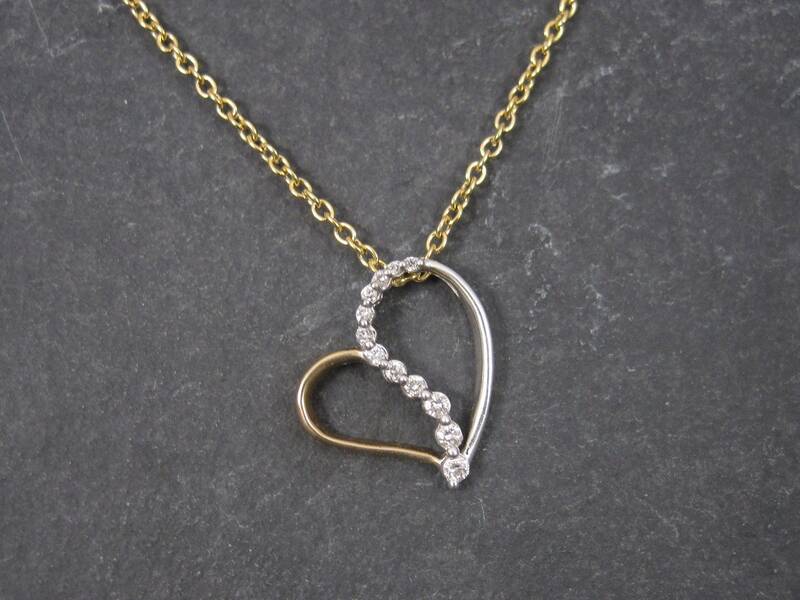 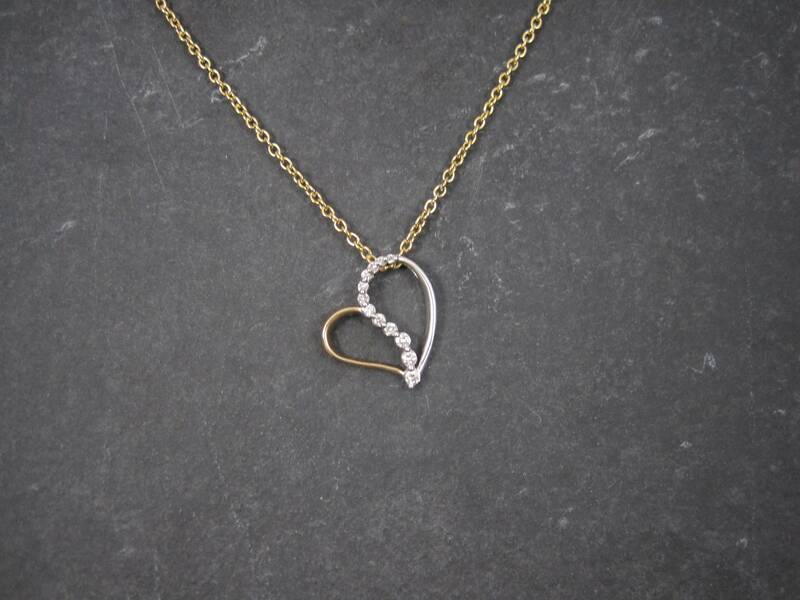 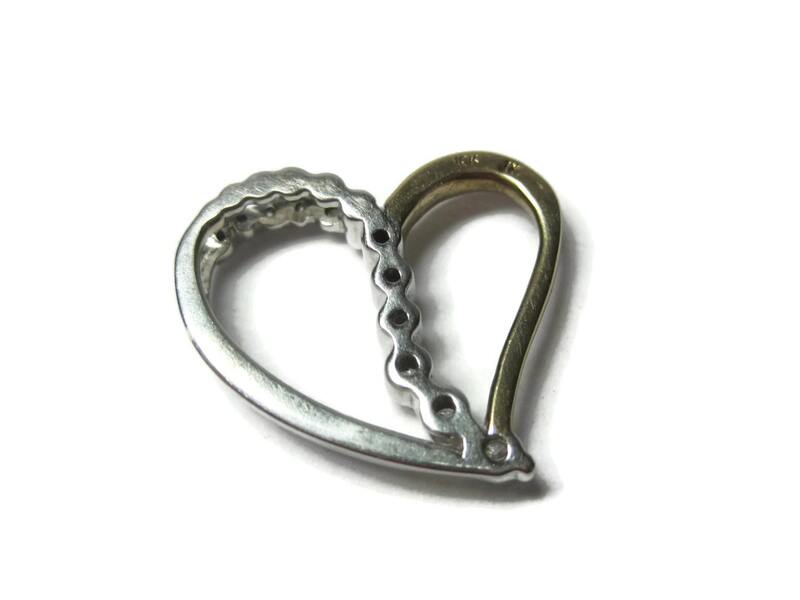 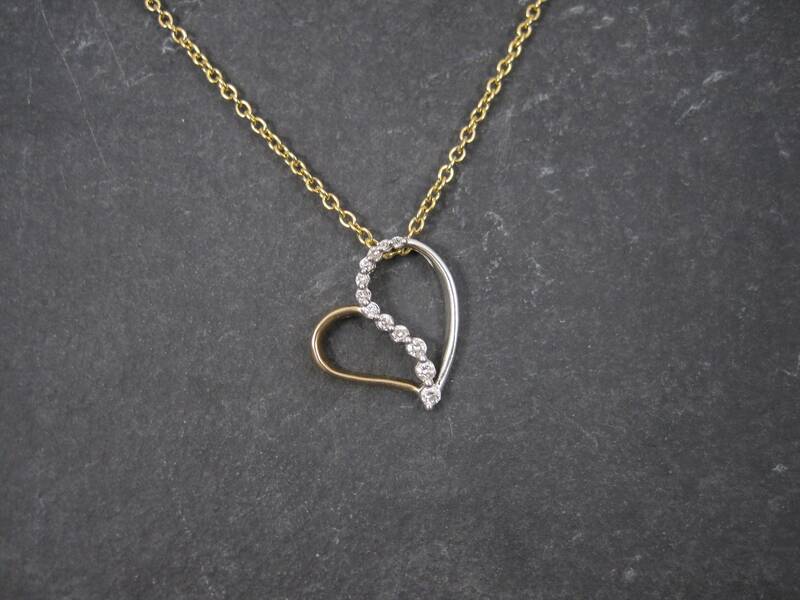 This beautiful diamond heart pendant is 10k two tone yellow and white gold. 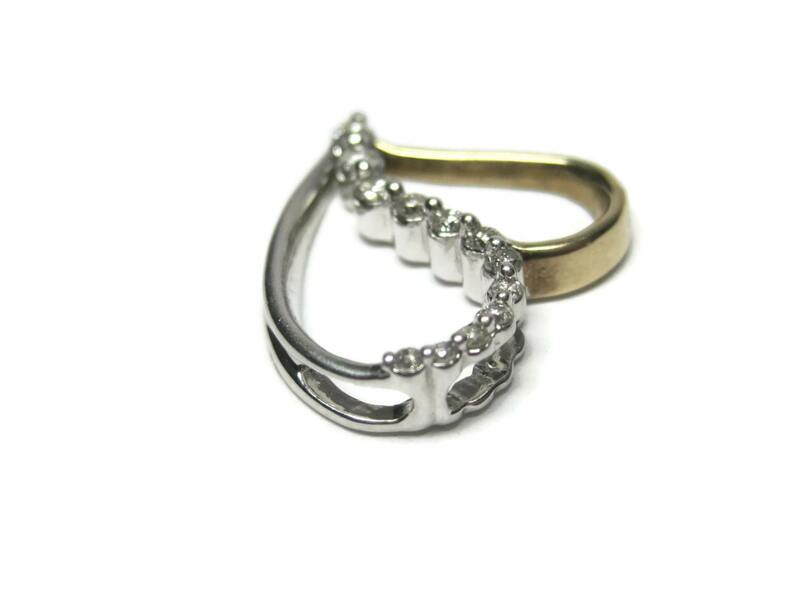 It features .15 ctw in natural round cut diamonds in a journey design. 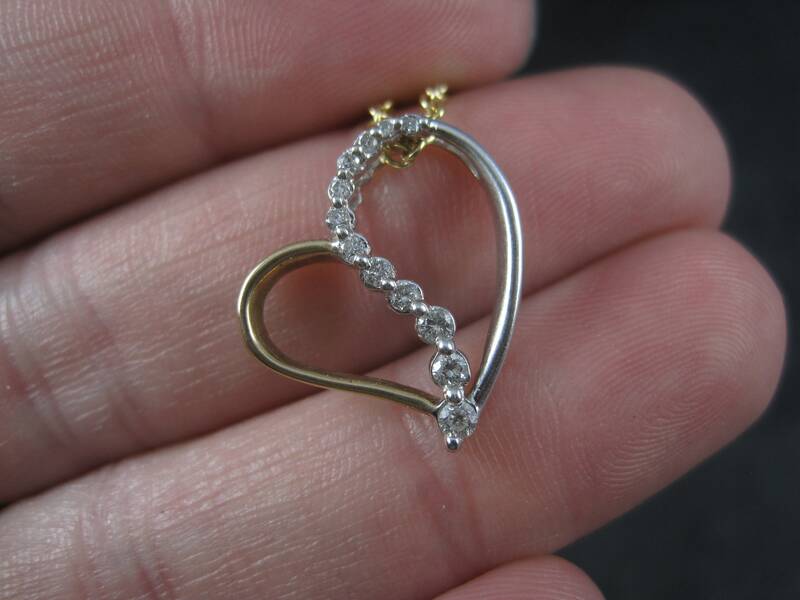 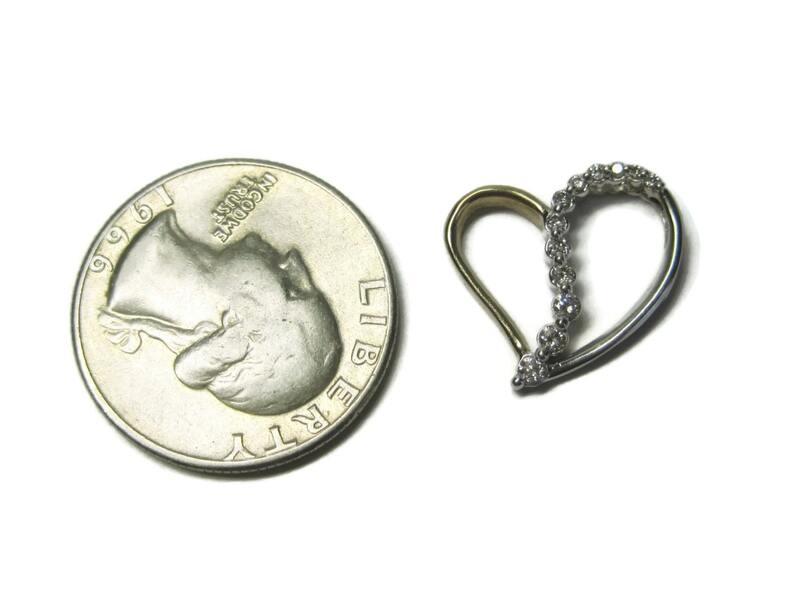 This pendant measures 3/4 of an inch. 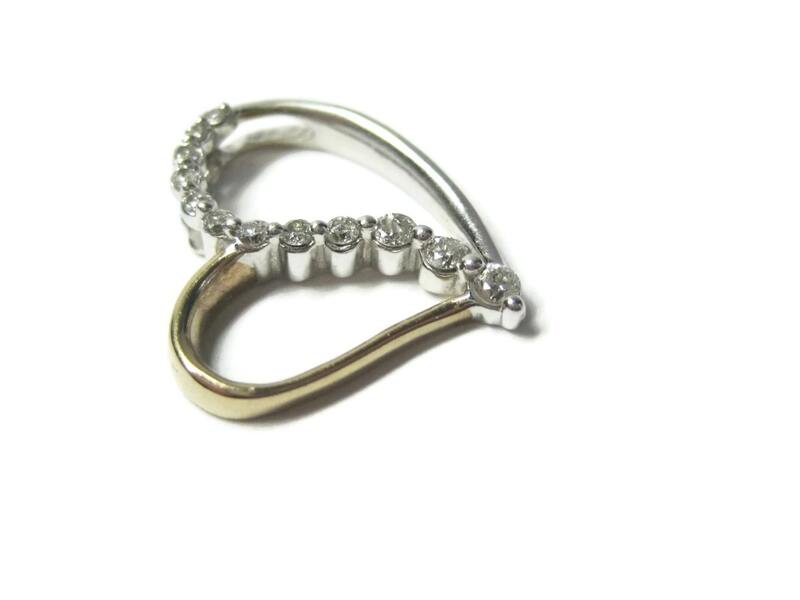 Condition: Excellent - Perfect for gift giving.